git config [--local] user.name "local.name"
git config [--local] user.email "local.email"
-A project used to test git command. 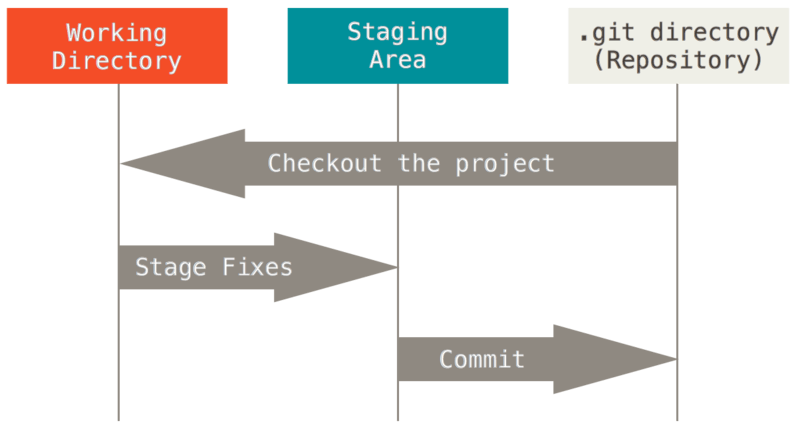 +A project used to learn and record git commands. git tag -a tag-name -m "tag message"
$ git tag -a v0.2 -m "Add tag v0.2 for test"
$ git commit -m "Add merge_conflict_test.md file for test"
This line was added on merge_demo branch. $ git commit -m "Add a line in merge_conflict_test.md on merge_demo branch"
This line was added on master branch. $ git commit -m "Add a line in merge_conflict_test.md on master branch"
This line was added to show how fixing conflict. Branch team set up to track remote branch team from origin. $ git commit -m "Generate a commit log in repository for &apos;git rebase&apos; test"
$ git commit -m "Add rebase_on_rebase_demo.md file on rebase_demo branch"
$ git commit -m "Add rebase_on_master.md file in master branch"
Difference between CR LF, LF and CR line break types?